Haupia is a traditional Hawaiian dessert often served at a luau. 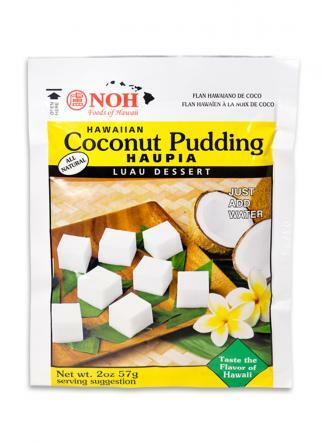 This packaged mix makes it easy to enjoy the creamy coconut flavor at home or at a luau of your own! Easy to make, just add water!